I am a MK fan. this was a fantastic price not to mention It is perfect size for traveling. I love the color and the MK quality is always perfect. Thank you Overstock for making this a affordable price! This user was entered into a sweepstakes after submitting their honest review. 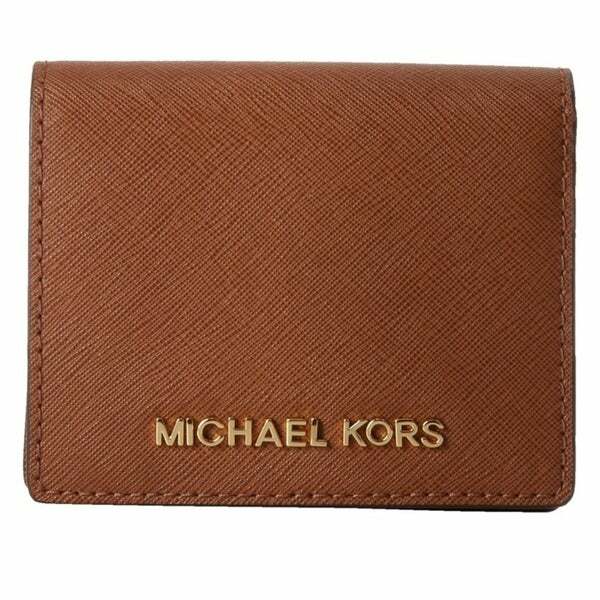 Designed to stash your cards and cash, this rich Saffiano leather holder makes a bold statement with signature lettering. I am a MK fan. this was a fantastic price not to mention It is perfect size for traveling. I love the color and the MK quality is always perfect. Thank you Overstock for making this a affordable price! Very nice. I love the Michael Kors line. Beautiful and even though it’s small it has a lot of room for credit cards. I bought this wallet because my sister own the exact same one in pale pink. The only difference is that I got mine on sale at Overstock! This pass case is terrific! Excellent Wallet, Much Bigger Then It Looks. Best Price.